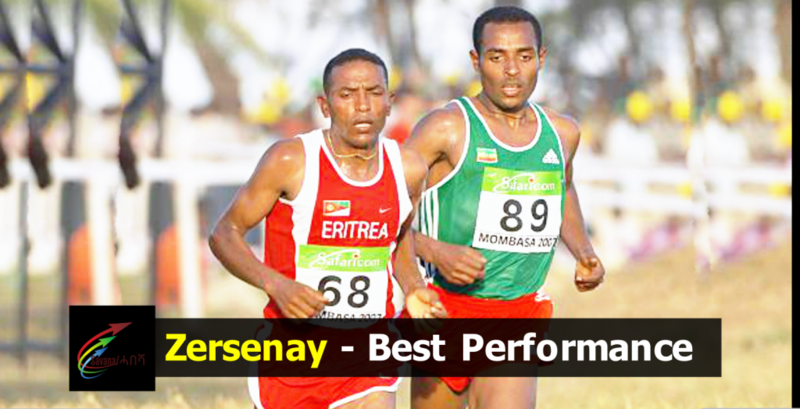 Zersenay Tadese ዘርእሰናይ ታደሰ; born 8 February 1982 is an Eritrean long-distance track and road running athlete. He currently holds the men’s half marathon world record. His bronze medal in the 10,000 metres at the 2004 Athens Olympics made him the first ever Eritrean Olympic medallist, and his 20-km title at the 2006 IAAF World Road Running Championships also made him the country’s first athlete to win at a world championship event. He does not use a sprint finish to win races; his strategy relies on a combination of efficient running and fast pace setting.